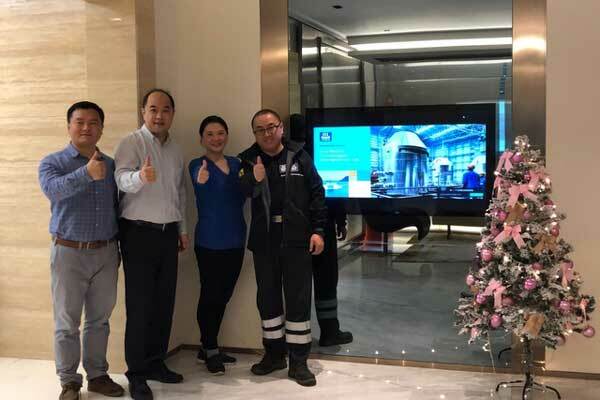 Norway-based Yara Marine Technologies has officially opened its new office in Shanghai, China, in order to meet the increasing demand for its exhaust gas cleaning systems for new builds and retrofit projects. Yara Marine’s exhaust gas cleaning technology is a leading solution for removing sulphur and nitrogen oxides from ship’s engine and boiler exhaust gases. Yara Marine has delivered more than 100 scrubbers representing an aggregate operation of some two million hours, said a statement from the company. Shipowners are dependent on quality products, flexible suppliers, and reliable service partners to support their global operations from 2020 and beyond. The Shanghai office reinforces Yara Marine’s position as shipping’s leading supplier of scrubbers. The office will cater both to new builds and the existing fleet. He confirms that Yara Marine’s high-quality, inline scrubbers of premium nickel alloy material come with an optional extended guarantee against corrosion – a major feature differentiating its scrubbers from the competition. “A scrubber simply has to last the lifetime of the vessel. Replacing scrubbers is extremely expensive and not an option for our customers,” he added. The new office will support a local team spanning the entire value chain from sales, engineering, procurement and service and commissioning, in addition to local support functions. Asian shipyards and owners, like most clients, value close proximity and rapid service, believes Chang. “As the 2020 deadline approaches, ship owners will require a very quick turnaround. We offer proven technology and installation insight. Short-term and quick fix cheaper solutions in today’s market have tremendous operational and financial disadvantages in the long-term,” he added. Long-term savings on fuel costs and the undoubted availability of HFO over the coming years is good news for global shipping operations. And scrubbers are more than just an upfront investment. Yara Marine’s business in China is now incorporated, having successfully registered with the AIC and received a commercial license.